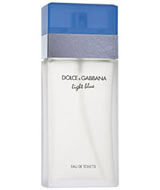 Light Blue perfume by Dolce & Gabbana is a delicious combination of lively Sicilian citron and effervescent Granny Smith Apples, are softened and ethereally blended with the intensity of freesia, jasmine, earthy musk and amber to provide a stunning perfume that’s both overwhelming and irresistible, like the joy of living. 2 Respons to "Light Blue"
kak reni, berkenan la yg ni…nk order camner? haiza…yg nih stock mmg available..
klu haiza nak, juz confirmed ngn akk k..